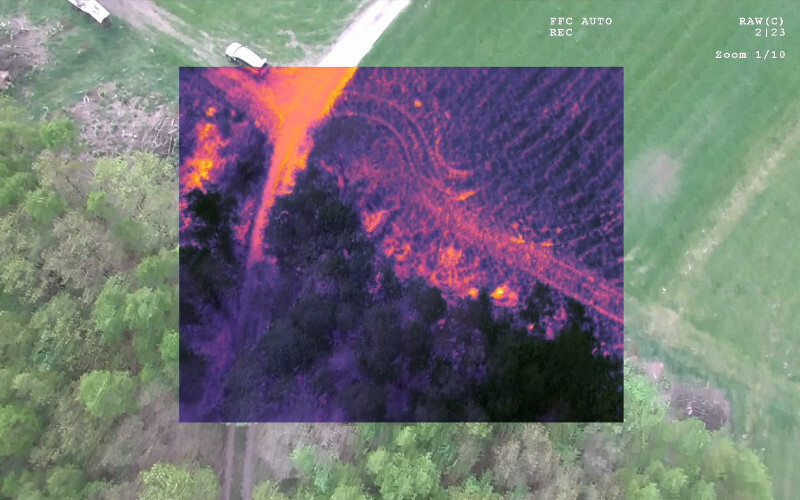 ThermalCapture Fusion Zoom with a DJI Matrice 100 in Search and Rescue mission – finding a missing person in the woods with a thermal drone. Based in the Siegen area, Germany, TeAx Technology is a leading provider for both, thermal imaging technology and special system integration. As lab researchers involved in the industry since 2007, the key staff of TeAx Technology provides extraordinary knowledge and experience within embedded systems, remote sensing, sensor development, sensor data fusion, as well as system- and special payload integration. Apart from that, TeAx Technology is frequently consulted when special expertise for holistic and complex unmanned solutions (e.g. swarming, ground-to-air cooperation, etc.) is needed. TeAx Technology established solutions to some of the largest organizations and government entities worldwide since 2013. For further information, please contact Michael Thoss, VP Sales & Marketing directly at thoss@teax.de – learn more on www.thermalcapture.com. You have questions? Get in contact with us! Use our contact form and let us know, how we can help and support you. We always find solutions for your clients. Stay connected with ThermalCapture and be one of the first, who receives great news. TeAx Technology GmbH, 2018. All Rights Reserved.